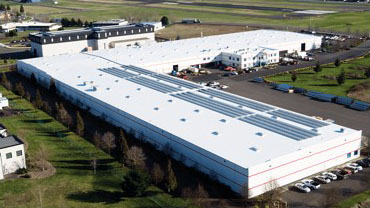 The custom-fabricated, single-ply Duro-Last roofing system is ideal for any flat or low-sloped application. The Duro-Last roofing system is a watertight, highly-reflective cool roof. It is resistant to chemicals, fire and high winds, virtually maintenance-free, and backed by the industry’s best warranties. The Duro-Last roof membrane is a cool zone roof system that delivers real energy cost savings for building owners and facilities managers. All roof installations by Umbrella Roofing Systems, Inc. are backed by Duro-Last warranties. Duro-Last warranties have been providing unparalleled protection for our customers since 1992. Duro-Last was the first manufacturer to offer a warranty that expressly covers consequential damages.